This is the North Carolina quintet's debut CD, and while the songs are new, the sound is old. There is nothing really innovative about Soul Angel. They play a brand of straightforward rock and roll. Mix 70's Deep Purple and April Wine with some 80's influences like Bon Jovi and Bryan Adams, and you will get an idea of their style. Their lyrics are mostly a string of clichés (often with adolescent overtones, kind of curious for a bunch of guys who look to be in their 30's and 40's), but they are sung with gusto by vocalist McGowan Lee Avent. In fact, the band plays this kind of music as if they have never heard anyone else playing it before. They rock out with the enthusiasm of teenage musicians who have just discovered a new sound, though they play a lot better than that. The band is tight, and all the players are competent musicians, especially founding member Grey Moore on lead guitar. Lea Peed also does some nice work on the keyboards, especially when he gets into some Jon Lord style organ riffs. Soul Angel may appeal to fans of classic rock who are tired of hearing the same old songs over and over again, and want something new, but with the same old sound. 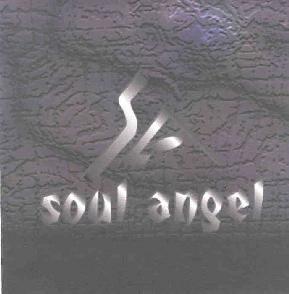 For more information you can visit the Soul Angel web site at: http://www.soulangel.net/. Hear sound samples at their Mp3.com web site at: http://www.mp3.com/soulangel. Contact via snail mail c/o Soul Angel; 111 Circle Drive; Hampstead, NC 28443.